Visitors to Granville Island in Vancouver will have noticed several overbearing figures, squinting peculiarly at shoppers and tourists. 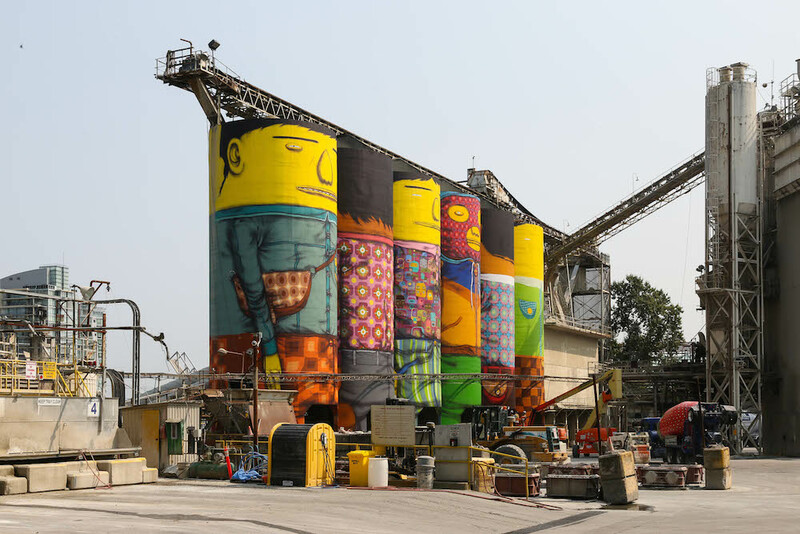 A massive new mural marks the Canadian debut for Brazilian street artists and brothers Otavio and Gustavo Pandolfo, better known to some as Os Gêmeos. 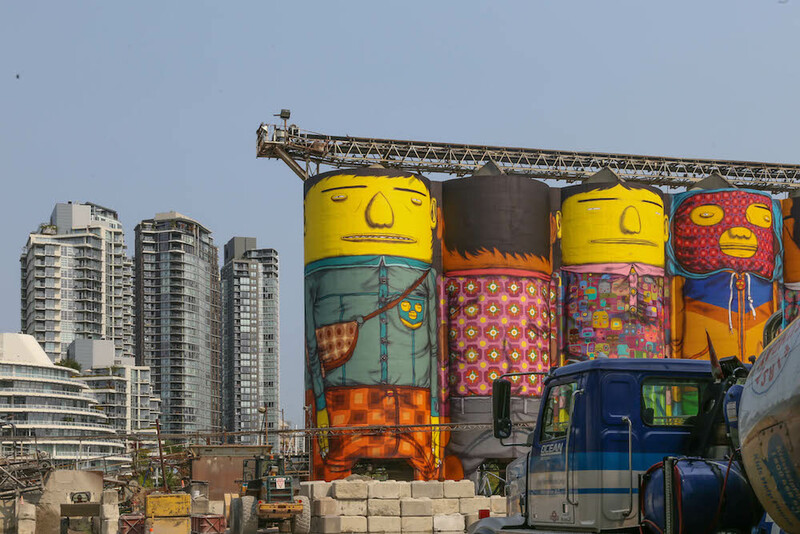 Part of an ongoing series titled “Giants,” the mural adorns a series of 7-storey-tall silos sitting on the popular waterfront district of Granville Island outside of downtown Vancouver, and also represents the largest-scale piece that Os Gêmeos has tackled to date; tallying up to 7,000 square-metres for a 360 degree work of public art. The mural is set to be completed by September 7th, in time for a public unveiling and celebration. The Pandolfo brothers’ signature style utilizes cartoon characters and vivid colors, becoming a hallmark of Brazilian street art. 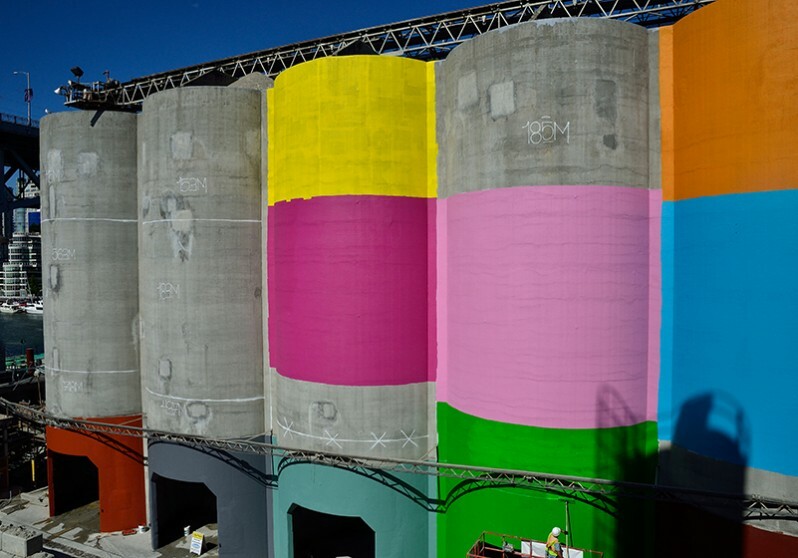 The project is part of an overall city-wide effort by Vancouver Biennale, a company that has facilitated the acquisition of over $2.5M worth of public art, including several other pieces across the city. 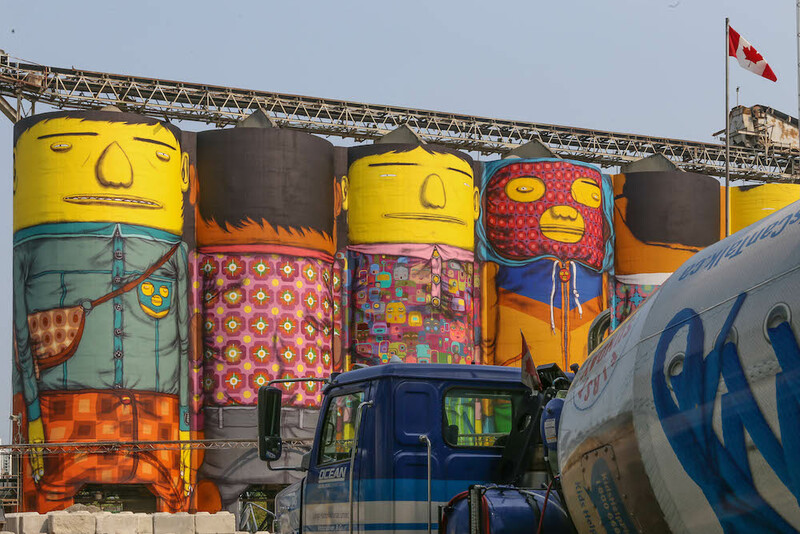 The non-profit organization went on record to say Os Gêmeos are “intensely focused on delivering something really, really special for us.” In recent memory, Os Gêmeos made headlines for providing artistic touches to the official airplane of Brazil’s FIFA World Cup 2014 squad, and for collaborating with Hennessy on a limited edition bottle of V.S. 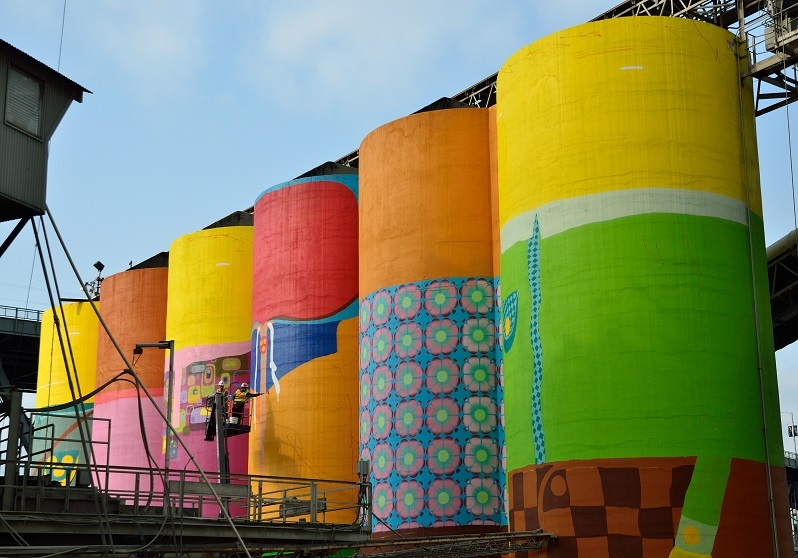 OSGEMEOS Transforming Industrial Silos at the Vancouver Biennale from Vancouver Biennale on Vimeo.